You deserve a tough and reliable truck that’s ready to help you get the job done right day after day. Meet the new Ford F-150. Search for a new Ford truck near me, then head to our Ford dealerships near Council Bluffs, IA. That’s right! With two great Baxter Ford locations in Omaha and Elkhorn, you’ll have the opportunity to take home the new Ford F-150 truck that’s perfect for your everyday needs. Whether you want to test-drive a new Ford F-150 Raptor or finance a new Ford Super Duty®, our Ford sales experts are ready to help you today! With an incredible towing capacity that will leave longtime Ford truck drivers impressed, the new Ford F-150 is ready to help you take on difficult jobs with ease. After a tough day at the worksite, enjoy the rest and relaxation that you deserve when you settle into the comfortable Ford F-150 interior. Interested in a new Ford SUV or car instead? Baxter Ford has a wealth of new and used Ford vehicles for sale, so you can cruise from Iowa through Nebraska in style. In need of directions to Baxter Ford? 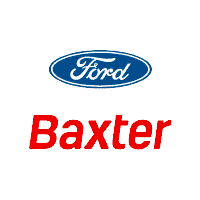 You can easily visit Baxter Ford South or Baxter Ford West Dodge from Council Bluffs, IA. If you’d like to visit Baxter Ford South in Omaha, NE, you can hop on I-80 W toward NE-50 N/S 144th St and take Exit 440. Continue for less than half-a-mile before taking your next two lefts to our location at 9203 South 145th Street in Omaha, NE. If you happen to be driving to Baxter Ford West Dodge in Elkhorn from Council Bluffs, you’ll want to hop on I-80 W and US-6 W to N 180th St in Chicago. After you take the 180th St Exit from US-6 W, take Burt St to California St, where our address at 18505 California Street in Elkhorn, NE, will be on the left. Have questions about any of our new Ford trucks and SUVs for sale? In need of Ford financing in Nebraska? We can help with all your automotive needs. Contact Baxter Ford and visit us today!